“We make a living by what we get, but we make a life by what we give.” - Winston Churchill. 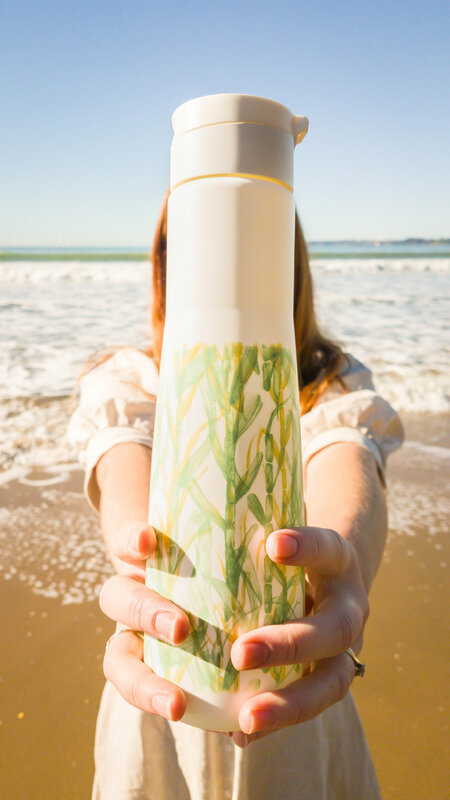 I don't mean to alarm you, but Yuhme have designed the world's most eco-friendly drink bottle. I didn't believe it at first either, but when you dive into their story, you know it's true. I've had the pleasure of using a Yuhme bottle for three months now, and I'm hooked. A reusable drink bottle never leaves my side, and the switch from a heavy metal bottle (which I now just keep at home) to this light, travel-friendly beauty, has been a dream. 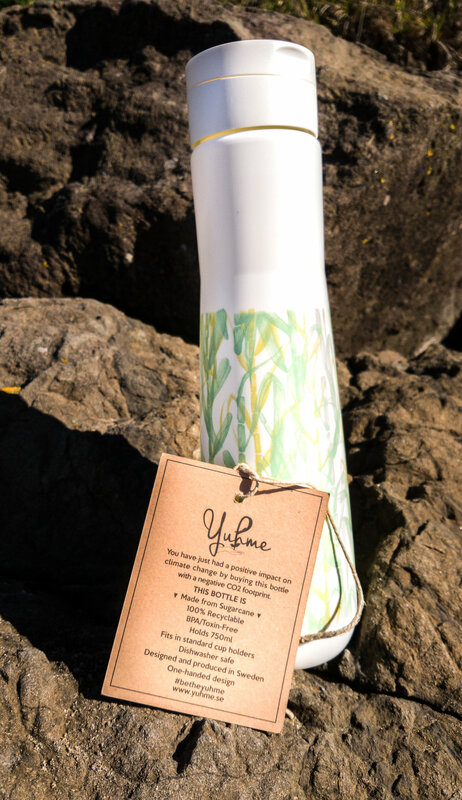 Why is a Yuhme bottle so special? The quote this blog began with, is the foundation of Yuhme. Yuhme is all about giving. The entire process of the bottle from creation to end, has been considered with people and the environment in mind. Consideration for the people who made the bottle, who drink the bottle, and who are also on the other side of the world without clean water. Each bottle provides 6 months of clean water to one person in the Central African Republic via their partner: Water for Good. Water for Good have worked in the Central African Republic for the past 11 years. The fact that this is a country fighting a civil war, hasn't stopped them. They bring water to people by repairing old wells once forgotten, and digging new wells too. Water for Good don't stop at providing water; they build communities. They have well maintenance teams, and in 2015 they helped establish the first ever local Central African owned water well drilling business. "If we were going to do this, we were going to do this in the best way possible. At the end of the day lives depended on it!" - Yuhme. CO2 negative: for every ton of bio plastic produced, 2.4 tons of CO2 is removed! One-handed design - life saver in the car! "There is no point to give with one hand but contribute to another problem (global warming), with the other. "- Yuhme. Often, brands who have such a strong social conscious, lose focus on design, aesthetics, and longevity of the product. But this is totally not the case. I can't count on two hands how many times someone has commented on my drink bottle. I take it with me everywhere, and even in cafes they stop and stare. 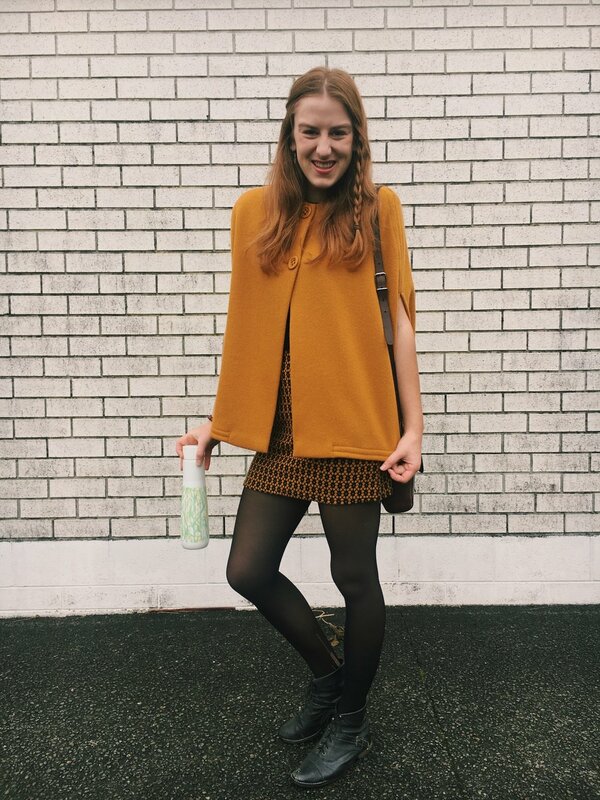 It's retro shape and beautiful pattern (I have The Namaste Bottle) mean my Yuhme feels like a fashion accessory, rather than a necessity to live. The geniuses behind Yuhme: Alex and Alex, a power couple who threw their day jobs out the window. After realising the impact of spending 8 hours a day away from their most precious people, their children, the couple worked to build a business which gave back to the planet, and allowed them to live a lifestyle of purpose and family connection. They continuously strive to make a difference, build up communities, better their product, and reduce their footprint on the planet. The team at Yuhme embody the very definition of social entrepreneurship and what all businesses should strive for. I always say that voting with your pocket is the best thing you can do for society and the environment. When you buy a Yuhme, you're voting with your pocket in more ways than one. It's an investment for a bottle that will last you a lifetime, but also a statement to the world that you give a truck. Choose your own Yuhme bottle here. If you need a helping hand, use code ETHICALLYKATE for 15% off. Jun 29 What Actually Is Plastic-Free July?